The White House does not appear to be certain on how it will implement Space Force. White House officials were reportedly still mulling the possibility of Space Force operating under the wings of the Air Force. 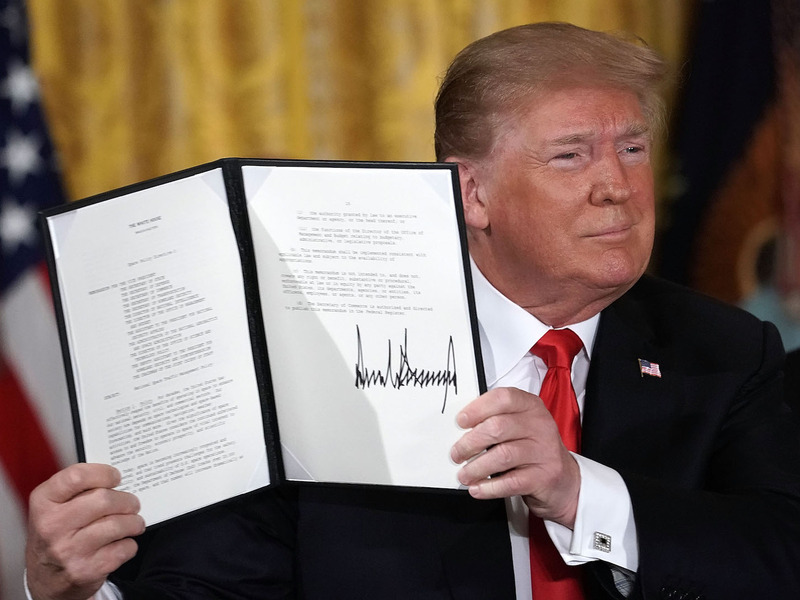 President Donald Trump touted the Space Force as an independent military branch in numerous statements and campaign speeches. The White House does not appear to be certain on how it will implement Space Force, President Donald Trump’s highly anticipated sixth branch of the military, and was still mulling the possibility of it operating under the wings of the Air Force, according to memos reviewed by Defence One. As recently as October 26, the White House reportedly asked the Pentagon for its expertise in the “organizational construct to meet [the President’s] intent” and asked for alternative recommendations for the Space Force’s structure – despite Trump touting it as an independent military branch in numerous statements and campaign speeches. In the memo, White House officials solicited advice on whether the US military was “best served” if the Space Force remained separate from the other naval, ground, and air branches. But the memo threw a wrench in Trump’s numerous claims about the Space Force by asking if “the new Space Force would be most effectively organised as a separate service within the Department of the Air Force,” according to Defence One. Alex Wong/Getty ImagesPresident Donald Trump signs an executive order to establish the Space Force. “We are going to have the Air Force and we are going to have the Space Force: separate but equal,” Trump said at a National Space Council meeting in June. These plans ranged from a space-focused corps under the Air Force’s purview, to an independent Space Force that includes Air Force, Army, Navy, and intelligence community assets, according to a defence official cited in the report. The possibility of housing a potential Space Corps under the Air Force – similar to how the Marine Corps and Navy operates – was previously proposed by Congress as part of its annual national defence policy bill. The provision in the National Defence Authorization Act was later shot down in 2017 and 2018 – a result the White House has taken into account in asking the Pentagon for suggestions, military officials told Defence One. The memo reportedly did not explicitly mention a Space Corps. The question of establishing an autonomous Space Force has divided many in the Defence Department and White House. While military experts generally agree that adversaries like China and Russia pose a threat to the US in space, not all are convinced and point to the Space Force or Space Corps’ potential cost.